Cat-1: This is not recognised by the TIA/EIA. It is the form of wiring that is used for standard telephone (POTS) wiring, or for ISDN. Cat-2: : This is not recognised by theTIA/EIA. It was the form of wiring that was used for 4Mbit/s token ring networks. Cat-3: : This cable is defined in TIA/EIA-568-B. It is used for data networks employing frequencies up to 16 MHz. It was popular for use with 10 Mbps Ethernet networks (100Base-T), but has now been superseded by Cat-5 cable. Cat-4: : This cable is not recognised by the TIA/EIA. However it can be sued for networks carrying frequencies up to 20 MHz. It was often used on 16Mbps token ring networks. Cat-5: : This is not recognised by the TIA/EIA. It is the cable that is widely used for 100Base-T and 1000Base-T networks as it provides performance to allow data at 100 Mbps and slightly more (125 MHz for 1000Base-T) Ethernet. Cat-5e: : This form of cable is recognised by the TIA/EIA and is defined in TIA/EIA-568-B.. It has a slightly higher frequency specification that Cat-5 cable as the performance extends up to 125 Mbps. It can be used for 100Base-T and 1000Base-t (Gigabit Ethernet). Cat-6: : This cable is defined in TIA/EIA-568-B. It provides more than double the performance of Cat-5 and Cat-5e cables allowing data at up to 250Mbps to be passed. Cat-7: : This is an informal number for ISO/IEC 11801 Class F cabling. It comprises four individually shielded pairs inside an overall shield. It is aimed at applications where transmission of frequencies up to 600 Mbps is required. I have a TV which has no optical Toslink at the back just RCA (Red, Yellow and White connectors). Your will need a Analogue to Digital Audio Converter to convert the analouge singnal present on you RCA connectors into a digital audio signal that the Toslink will feed into a Soundbar for example. If you don't have the respective RCA/Toslink cable you will need these to in the required length. See the right hand sight of the Analogue to Digital Audio Converter product page. With each passing year demand for higher data rates in data center environments grow. More and more sophisticated equipment is introduced into the marketplace and more users need access to data center services. Today, we are able to transmit data within the data center at 10 Gig / second using multimode fiber. While this seems like an enormous transmission rate, user demand will catch up with it fairly quickly. Thankfully technologies are emerging that will allow transfer rates of up to 100 Gig / second in the data center. Also on the horizon are 10 Gig / second data rates to the desktop. As demand for service grows so must the transmission standard. These new increased data rates will require cleaner signals for transmission of laser pulses on multimode fiber. Standard, Non-Laser Optimized Multimode fiber, typically is manufactured with an optical defect in the center of the core. While this defect is not detrimental to the transmission of light emitted by LED’s, coherent light emitted by lasers is greatly affected. In order to efficiently transmit laser light through multimode cable one must use a mode conditioning cable. These costly patch cables offset the launch of the laser to avoid the center defect. In the early 2000’s optical fiber manufactures began producing fiber without the center defect… Laser Optimized Multimode Fiber was born. OM3 was the first standard to emerge, codifying laser optimization of multimode fiber. This technology was the first to allow designs of laser transmission systems utilizing multimode optical fiber without the use of mode conditioning cables. This new fiber when paired with new low cost Vertical-cavity surface-emitting laser technology allowed for 10 Gig transmission. OM4 fiber has been on the market since 2005, sold as premium OM3 or OM3+ fiber. The OM4 designation standardizes the nomenclature across all manufacturers so that the customer has a clearer idea of the product that they are buying. OM4 is completely backwards compatible with OM3 fiber and shares the same distinctive aqua jacket. OM4 was developed specifically for VSCEL laser transmission and allows 10 Gig / second link distances of up to 550 Meters (compared to 300M with OM3). The effective modal bandwidth for OM4 is more than double that of OM3 (4700 MHz.km for OM4 v/s 2000 MHz.km for OM3). At Cables Plus, we feel that offering our customers a high quality product is our first priority. In order to allow our stocked product to fill the widest possible set of standards, we have begun moving to an OM4 product line. While we are still able to supply the OM3 fiber patch cables you have become accustomed to over the last 5 years, Cables Plus is moving to standardize on OM4 patch cables for stocking. We feel that this offers our customers with the highest quality product on the market while still maintaining at our low cost solution. 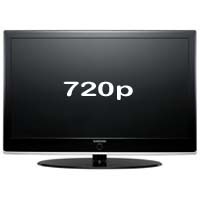 720p – this technology is likely to be the most common resolution to be broadcast and is comprised of 1280 horizontal x 720 vertical rows of pixels. The ‘p’ stands for progressive rather than interlaced (as with the 1080i). Contrary to common misconception 720p is not inferior to 1080i; although it has fewer rows/lines of pixels it has the advantages of progressive scanning and a constant resolution of 720 lines, making it more capable of handling motion. 1080i – this is the standard HDTV display which uses interlaced scanning technology and produces a resolution of 1920 x 1080 rows of pixels. Modular connectors are commonly used for telephone systems, data networks, and low-speed serial connections. These connectors are inexpensive, relatively simple to terminate, and easy to plug and unplug. A modular connector typically has a clear, plastic body, with a tab that locks the plug and jack into place when connected. In the vernacular used by the technology industry, they are called “RJ” connectors. This is technically inaccurate, but the naming convention is widely used. RJ is an acronym for Registered Jack, which is part of a coding system developed in the 1970s by AT&T to classify telephone services and equipment. The system, called the Universal Service Order Code (USOC), used designations that began with the letters RJ to denote the capabilities of jacks in a building, and how they should be wired in order to connect to the public phone network. RJ plug connections are typically terminated by using a special tool to crimp the connector onto the conductors of a cable. These connections are often made in the field for convenience; however, a factory-assembled RJ cable typically offers the best performance. The wiring scheme for a single line phone was identified as “RJ11”, and the name stuck to describe the connector used on a phone cord. Today, RJ-11 is widely used in the connectivity industry to denote a 6-position, 4-conductor modular connector or jack. RJ-48 is actually the same modular connector as an RJ-45 connector in that it has 8 positions and 8 conductors. However, the term is often used to describe a shielded version of this of the RJ-45 connector. RJ-48 connections are commonly used for T1 or other “leased-line” applications. A smaller version of the RJ-11 modular plug, the RJ-22 has only 4 pin positions. It is typically used on telephone handsets. RJ-22 is an "unofficial” designation, not part of the official USOC recognized by the FCC.